Do you want to talk to me or message me personally but you're afraid because you think I won't respond? How about a message you've sent about 3 months ago but is still left unopened and unseen? It's surely because it has been buried in other personal messages that I have yet to read and respond to. That's why I decided to open a GROUP CHAT for us! I thought of a way where we could chat but still keep our personal information private like complete name, e-mail, and phone number. I suddenly remembered I used Kakotalk with my Korean students because and it has one of the best features - the OPEN CHAT. 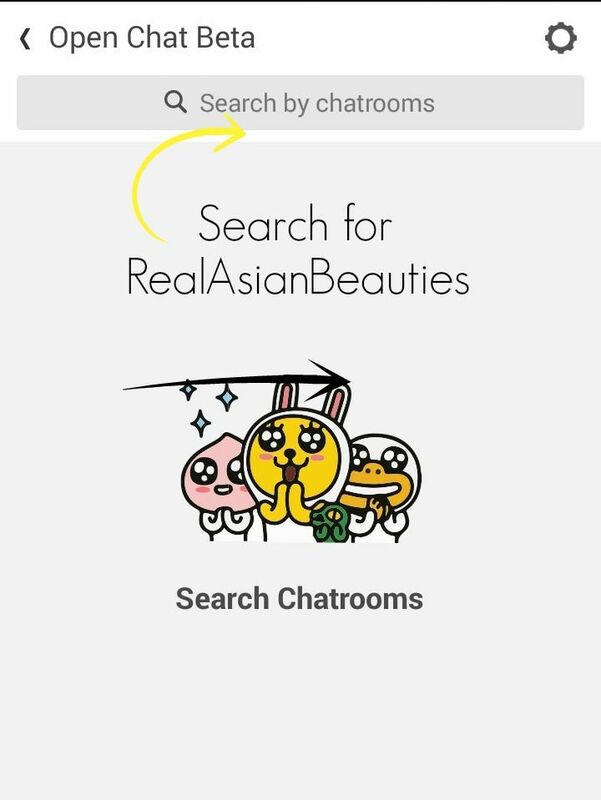 Kakaotalk allows us to openly but still making sure our privacy is kept. I love it because I could customize the numbers or participants in the group chat.  We could also send photos, videos and voice messages. I started this group chat back in November 2016. Since then, it has become one of my habits and I am online on it 24/7! 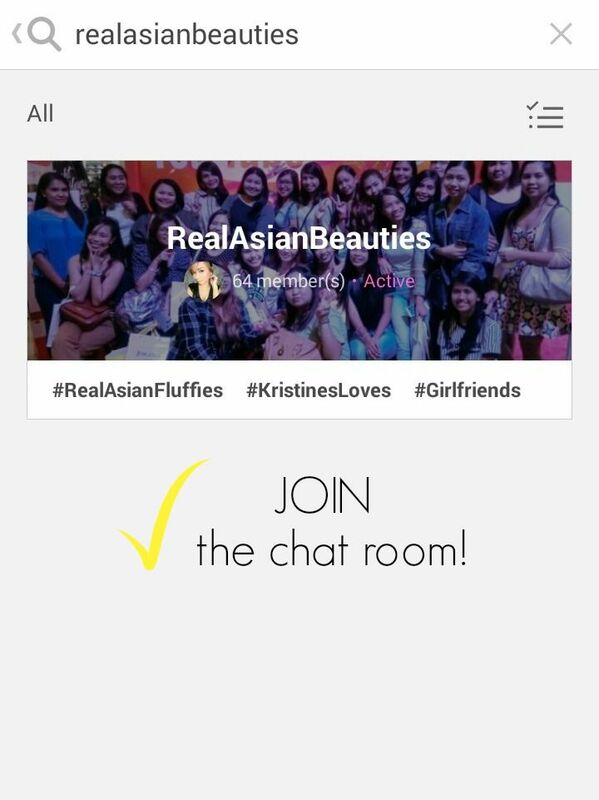 That's why, if you want to get to know me more and be able to get real-time update and bond with your fellow FLUFFIES, I am encouraging you to join our Official RealAsianBeauty Group Chat NOW! 1.) 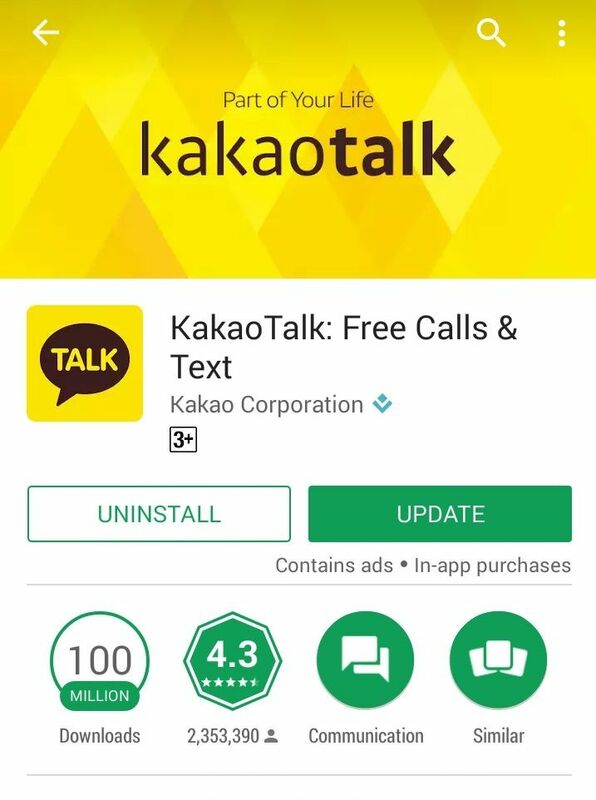 Go to the APP STORE on your phone and Install KAKAOTALK. 2.) Once you're on it, click the YELLOW PLUS BUTTON on the bottom of the screen. 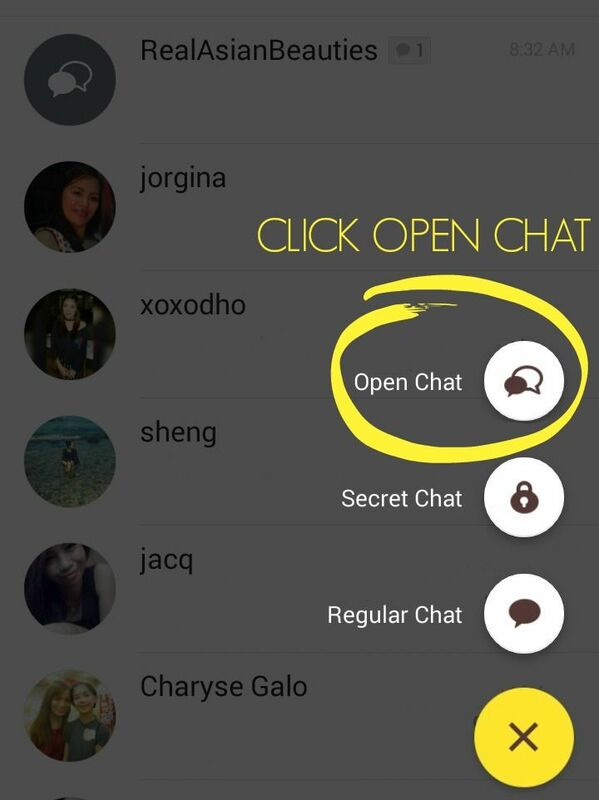 Then click OPEN CHAT. 3.) On the search box, TYPE RealAsianBeauties. 4.) Kakaotalk will then show you this result. This is OUR GROUP CHAT! Click on it to enter the room! 5.) To ensure that only the loyal FLUFFIES are in the group chat, I put a PASSCODE before you can enter. But don't worry, all you have to do it to send me a personal message on either Facebook or Instagram and I shall respond to you and give you our passcode! 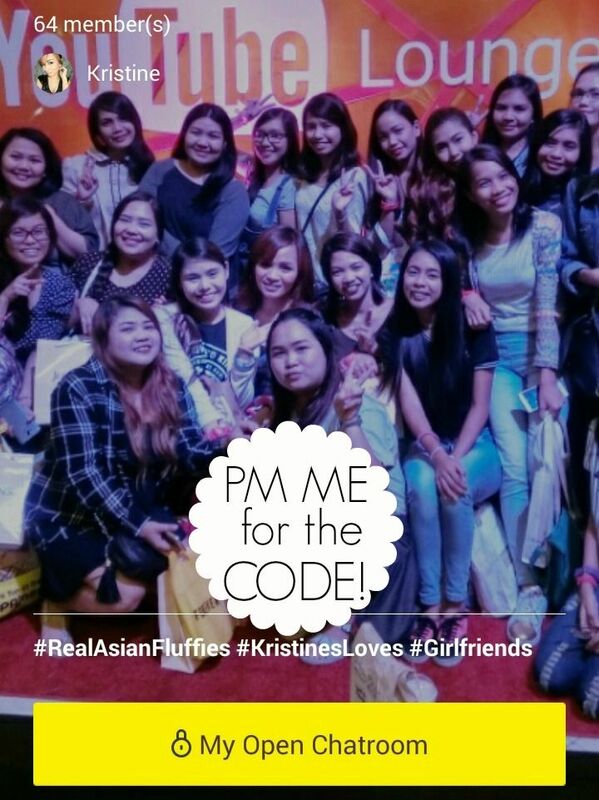 If you've seen or read my post on the RealAsianBeauty Christmas Party, you might have noticed how we are all so close and comfortable with each other already. Take note that it was my first time to meet most of them that day! 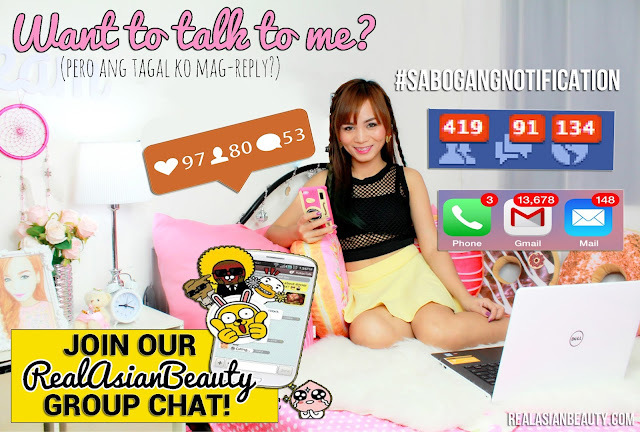 It's because we have been talking on the Kakaotalk Group Chat already! It's really one of the perks of joining this chat room! It's has already become a habit for me to check this group chat. I am literally on it from the time I wake up 'til I close my eyes. (Lol that sounded like a song!) I have also gotten more close with the members of the room. They were able to share with me about their life, and I in return, have also shared more details about me and personal life stories. I really hope to see you there! Have a nice day, FLUFFIES!